Educational expansion and gender differences in educational attainment have both been studied in various contexts, but their interdependence has rarely been examined, and even then, yielded conflicting results. We focus on the expansion of tertiary education in Israel resulting from several reforms introduced in the mid-1990s and ask two questions: (a) How did educational expansion affect inequality of opportunity (IEO)? 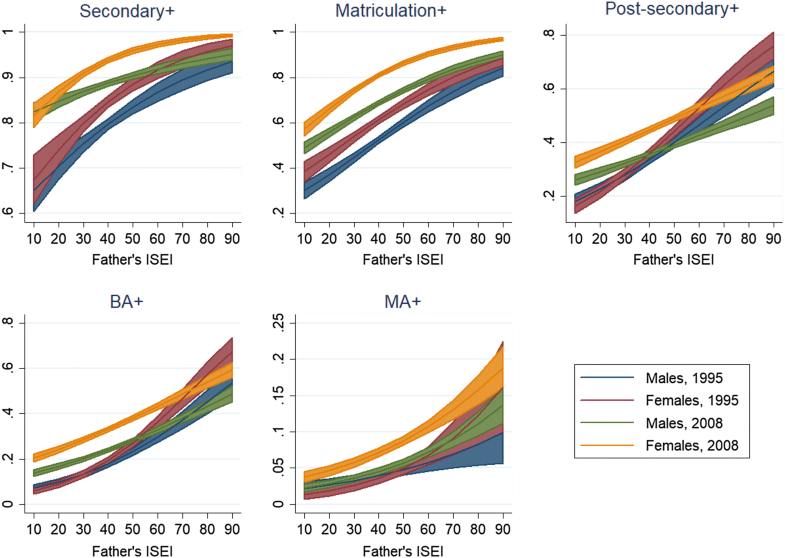 (b) Did the effect of educational expansion differ between men and women? Based on the Israeli census, we examine changes in IEO between 1995 and 2008 across all levels of education. We find that women from lower socioeconomic background were the main beneficiaries of the expansion, especially at the MA+ level. Several explanations for these findings are discussed. Funding was provided by Fonds National de la Recherche Luxembourg (Grant Nos. FNR/P11/05, INTER/NORFACE/16/11333934). The authors wish to thank Yariv Feniger, Yossi Shavit and the participants of the RC28 meeting at Cologne (2017) and the SEMILUX participants for their helpful comments. The usual disclaimer applies. See Fig 4; Table 3. Predicted probabilities of achieving different levels of education by socio-economic background among men and women in 1995 and 2008 (including Arabs). *p < 0.05; **p < 0.01; ***p < 0.001. Central Bureau of Statistics (2012) Yearbook of Statistics63, Jerusalem: The Central Bureau of Statistics (in Hebrew). Available Online at: http://www1.cbs.gov.il/reader. Goldthorpe, J.H. 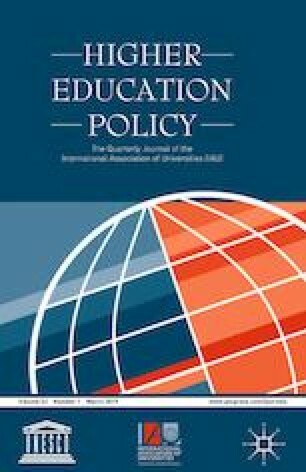 (2013a) The Role of Education in Intergenerational Social Mobility: Problems from Empirical Research in Sociology and Some Theoretical Pointers from Economics. Oxford: University of Oxford. Barnett Papers in Social Research. Working Paper 13-02. Available on http://www.spi.ox.ac.uk/fileadmin/documents/pdf/Barnett_Paper_13-02.pdf.